ColorDMD Game 53: Don't Open! Dead Inside! ColorDMD is excited to announce that The Walking Dead is the 53rd game to be supported by the ColorDMD multicolor pinball display platform! The original hand-drawn animation in Walking Dead ranks among pinball's best! Enhanced by the ColorDMD's multicolor processing, you can nearly taste the flesh falling fresh from the bone! Veteran developer Eric Priepke brings the gore, returning for his sixth title following work on Batman, Spider-Man VE, Spider-Man, Iron Man, and the Flintstones! His effort on this title and commitment to its completion has been commendable and greatly appreciated! Walking dead contains several complex animation sequences that change "on-the-fly" in response to playfield activity. These embody some of the most challenging sequences of any SAM game completed to date, and required Eric to develop innovative and custom solutions that could work within the bounds of the ColorDMD coloring engine. Eric resides in Wisconsin with his wife and two children. 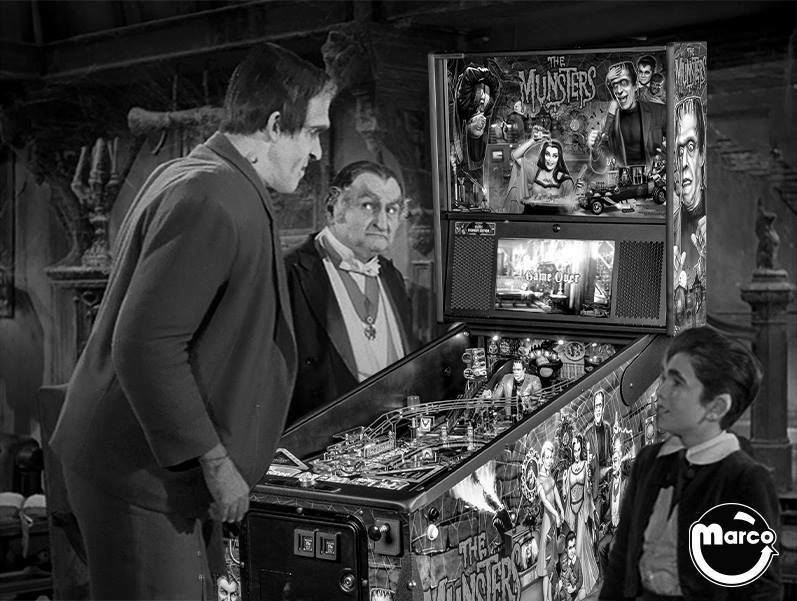 When not spending time with family, or rolling with Wisconcin's infamous "Ballers for Dollars" crew, Eric can usually be found contributing something to the pinball hobby. He is the author of "Cactus Canyon Continued", and an active contributor to the Pinside and P-ROC pinball discussion forums. The ColorDMD for Walking Dead pinball machines shares the same easy-to-install hardware platform as previous ColorDMD releases. All displays ship with the factory installed SIGMA ROM that supports WPC, WPC95, SAM, Whitestar, and SPIKE platforms. Multicolor operation is enabled through download and installation of a game-specific color ROM file, available from our site. ROMs can be changed at any time, allowing use with any of our supported titles. Displays are shipping now from our store site or through our distributors. The color ROM for Walking Dead pinball machines is targeted for release by Friday, February 10! For more information, please visit us at http://www.colordmd.com. Re: ColorDMD Game 53: Don't Open! Dead Inside!